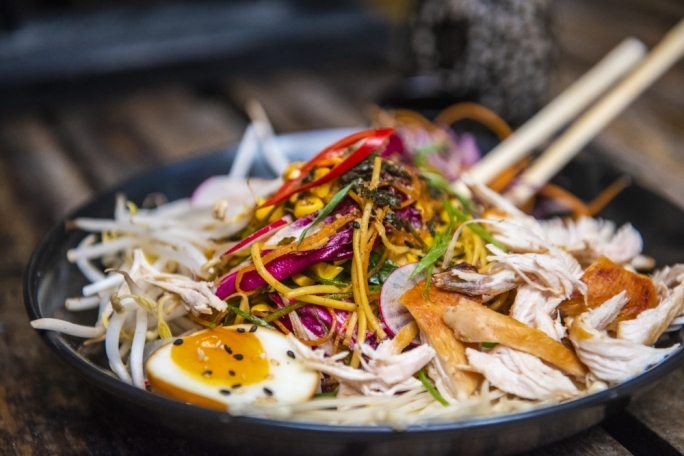 Molecular Fusion offers an unparalleled tasting experience by implementing innovative catering concepts and specialised molecular techniques from all over the world. 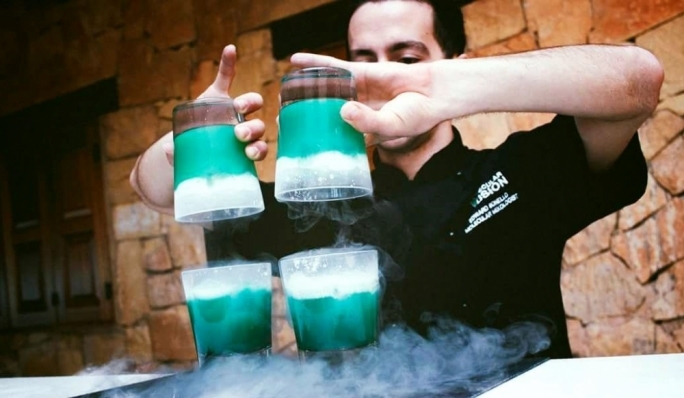 Together with their state-of-the-art events service, at the hands of their professional team of skilled bartenders, Molecular Fusion provides clients with only the most prestigious and unique cocktail experience that creates lasting memories with the power of innovative fusions of flavours, inspiring garnishes and only the finest sourced ingredients. Founder, Eddie Bonello, who has personally built his team of exceptionally vibrant bartenders, strives to express the client’s vision by offering bespoke bar solutions as well as a range of packages that are tailored to the needs of every budget and customised to the client’s preferences. Eddie’s influences are derived from his travels, his everyday life experiences and continuous research, all which inspire his creations, his meticulous choice of ingredients and his understanding of the art of mixology. He said: "we are proud to present our clients with a unique take on the ordinary cocktail experience and offer the most innovative bar solutions with a wide portfolio ranging from weddings and corporate events to international and high-profile private events." Each of the team’s bartenders, has been trained by Eddie himself: "I offer my employees the skills and allow them to develop their own style and creative flair as they progress. 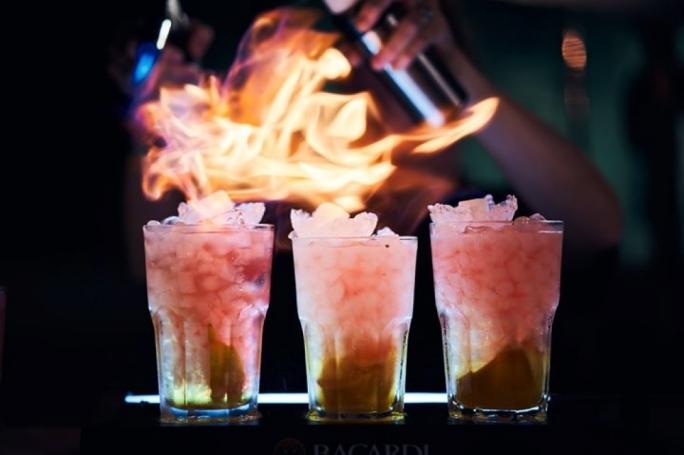 All my bartenders have a unique talent for the work and my aim is to let them express themselves and develop confidence in their abilities within the Molecular Fusion approach to bartending, giving them the opportunity to have new experiences. The job takes Molecular Fusion all over the world, which is a true privilege for all of us." 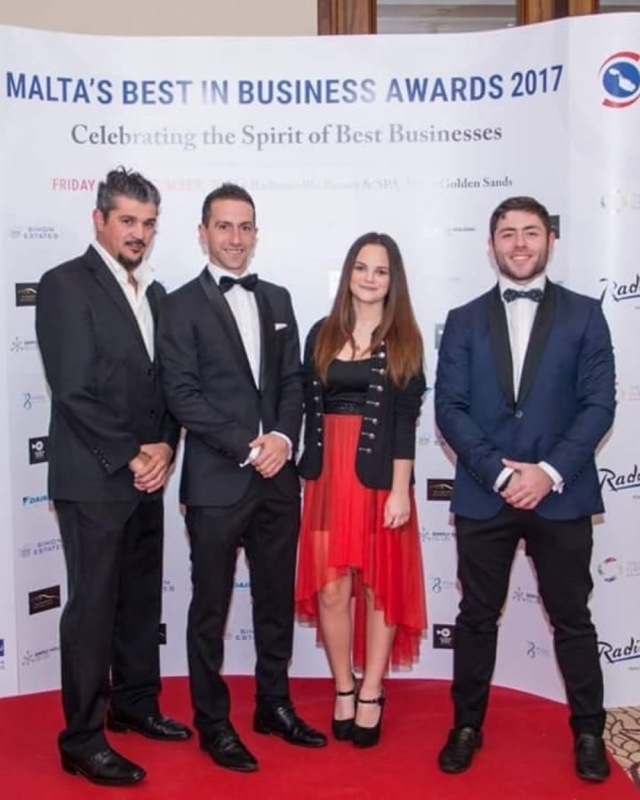 Established in 2013, Molecular Fusion now operates at the forefront of Malta’s event’s industry and has since earned its spot as one of Malta’s most distinguished cocktail bar hire providers, having won the 2017 Malta’s Best Business in Food and Beverage Award. Molecular Fusion raises the bar of any function with the aim of bringing people together and delivering a creative and enchanting experience. In the last year, Molecular Fusion has provided its exceptional service both locally and abroad. It has participated in local events including Malta’s Blockchain Summit and SIGMA and has also operated at international venues such as the Live IGB gaming expo in Amsterdam, the Ice Totally Gaming Expo in London and Abu Dhabi’s Formula 1 event, where Molecular fusion were in full action and it’s a sight not to be missed. In the words of its creator, to the Molecular Fusion team, "every event is a new challenge and every event is unique, which prepares us well in handling events ranging up to thousands of people. This year, the ICE Totally Gaming event saw over 33,000 people in attendance, and we served over 12,000 cocktails – the energy behind the bar was truly incredible." 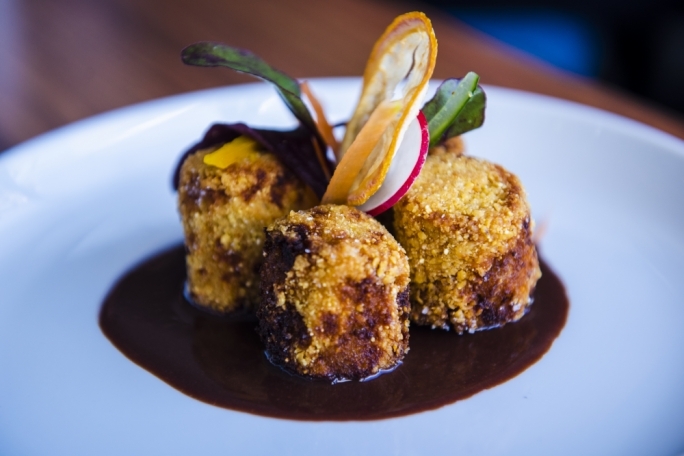 The secret of Molecular Fusion’s success is not merely an outstanding level of commitment, entertainment and finesse. The most inspiring quality they possess at any event, is their level of team-work and charisma. The team members bring great energy and spirit to the bar, which makes them stand out and will make your event the highlight of the year. "Our company culture resonates passion and creativity – all of the bartenders come from different walks of life with very diverse employments, but we come together because of our love for bartending. Molecular Fusion isn’t just a business, we are a family where loyalty, mutual respect and passion are the key driving forces that make us stand out in the service sector, providing our clients with such an energetic and hard-working team. Our promise is to deliver an outstanding level of entertainment by engaging our customers directly with the molecular experience. What we do is a passion, which evokes our search for perfection behind the bar." But that’s not all: Eddie’s entrepreneurial streak doesn’t end there, not to worry. Since the launch of Molecular Fusion in 2013, Eddie has been working in parallel setting up other food and beverage start-ups. 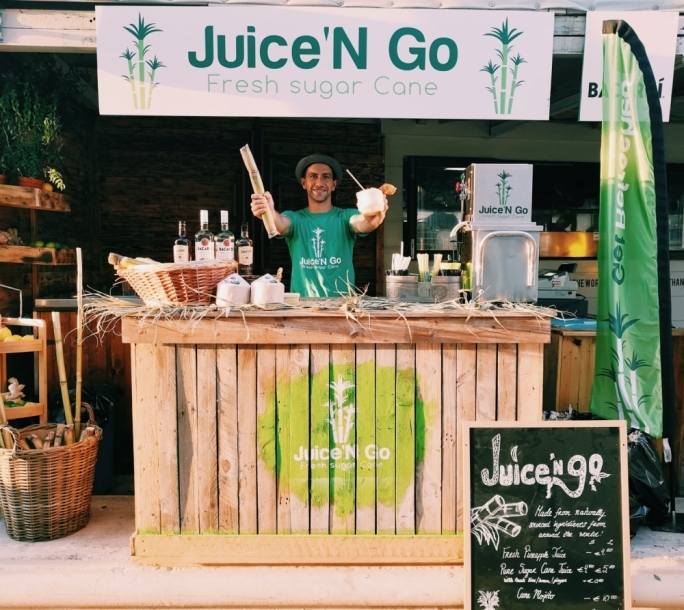 The Juice n’ Go concept offers delicious fresh sugar cane juice on tap as well as fresh Thai coconuts. For those of you who want to spice things up, you can opt to combine your juice with a selection of premium rums. Both, Sugar Cane and Thai coconuts have several excellent health benefits so you can feel less guilty about a little drop of rum. Go on, treat yourself. For an even more indulgent experience you might want to go for ‘Nitro Scoop’! Instant ice creams and sorbets with some lovely unique flavours including Nutella and Fresh Prickly Pear. For those of you that love a little bit of fizz in your, life Nitro Scoop also offer a gorgeous Martini Bellini option and for lovers of creamy delights, Baileys is another mouth-watering choice. What makes this ice cream experience different from usual ice cream? Well, it’s made using liquid nitrogen for an instant freeze effect – watch your ice cream being turned from liquid to solid in a matter of seconds. It doesn’t get any fresher than that! 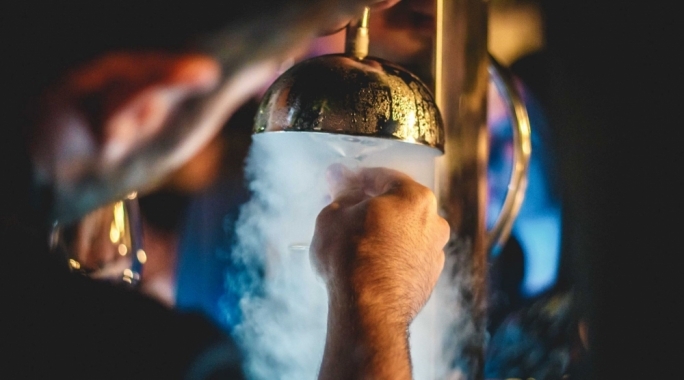 For a cool party trick, you should check out the ‘Walking Dragon’: A super cool liquid nitrogen effect that turns guests into an icy dragon that will have your whole party laughing. This concept doesn’t even require alcohol for everyone to have a good time. Mini marshmallows or peanut butter chocolate bites? What’s your poison? The Walking Dragon awaits you. 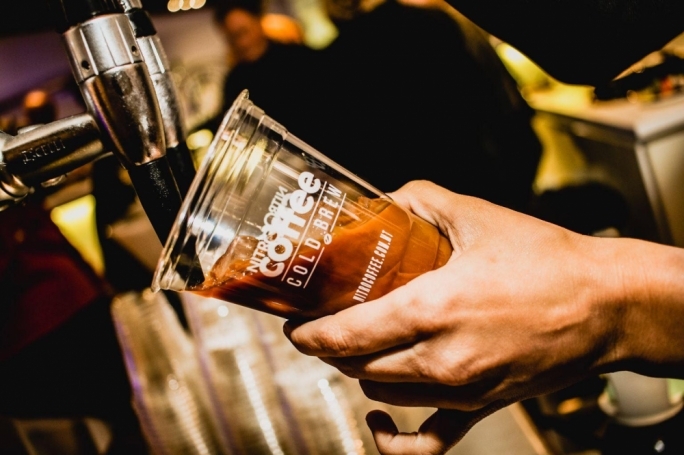 In line with the promise of an outstanding and unforgettable experience, Eddie suggests closing an event with ‘Nitro Coffee’ – a must-try for all of you coffee lovers. A freshly brewed coffee made using Nitrogen for that froth effect of a Guinness and the silky-smooth ice-cold caffeine kick that is most welcome, particularly on a hot summer day. For more information, check out Molecular Fusion’s Facebook pages and/or their website. Get in touch with the man himself under [email protected] or call on +35699159357.